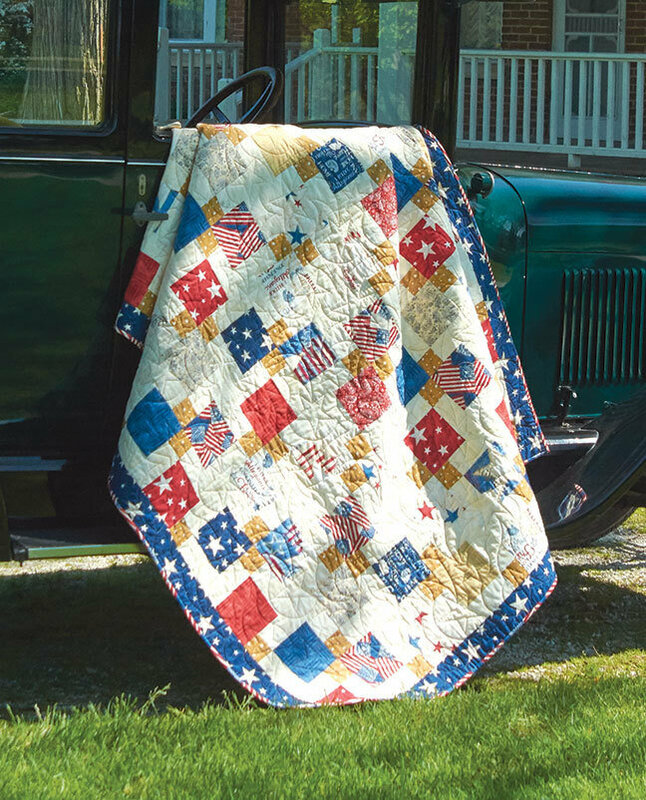 You can complete this quilt top quickly­—join 5" squares into nine patch units, make two cuts, and reassemble the resulting sections. The use of the same color square in the middle of each Nine Patch unit helps to unify the overall look. 65" x 78" finished size.